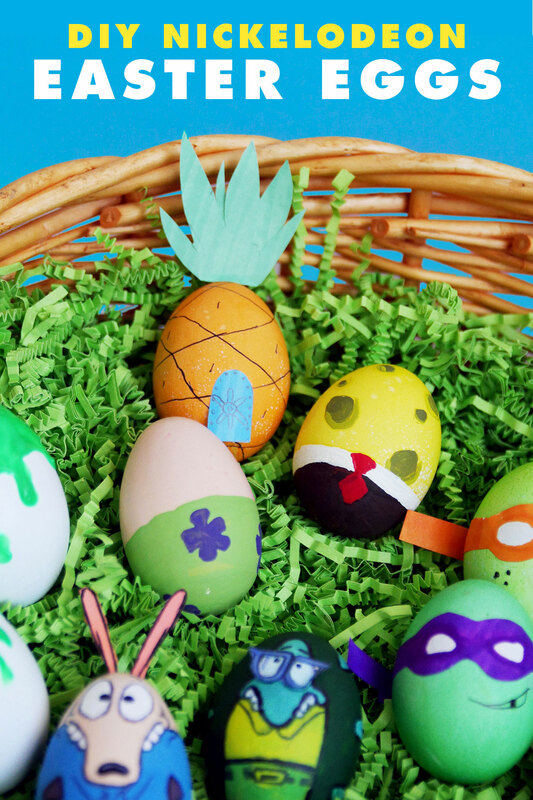 To get your creative juices flowing, here are six kid-friendly ways to create DIY Nickelodeon eggs using only items from around the house. 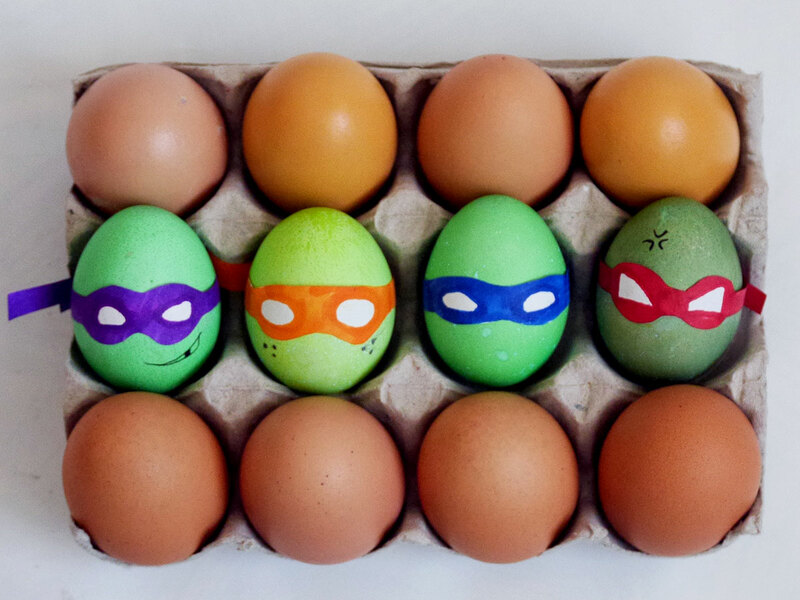 Or should we say, Teenage Mutant Ninja Eggs? These masks were cut out of paper, but could also be painted on. For a sillier version, use googely eyes. #PinterestFail moms, this one is for you. 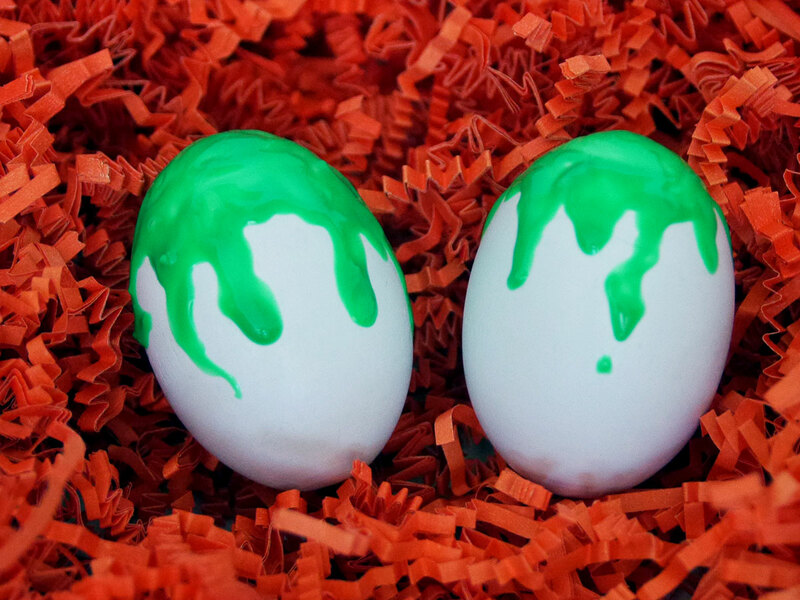 Just glob some green paint on top of a white egg and you’re good to go! 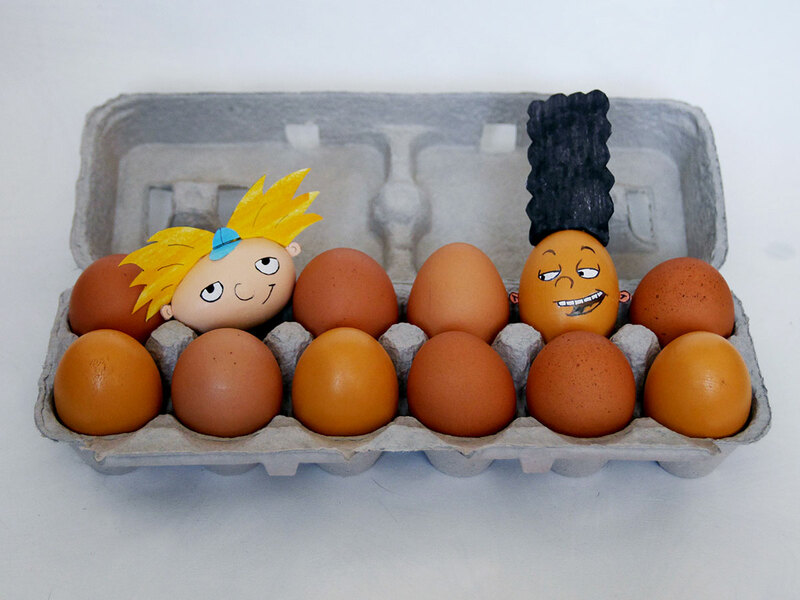 Move it, egg-head! These eggs are so simple, they don’t even require dye. 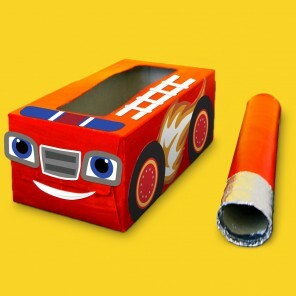 Just some good ol’ fashion construction paper, a little bit of paint, and some glue. 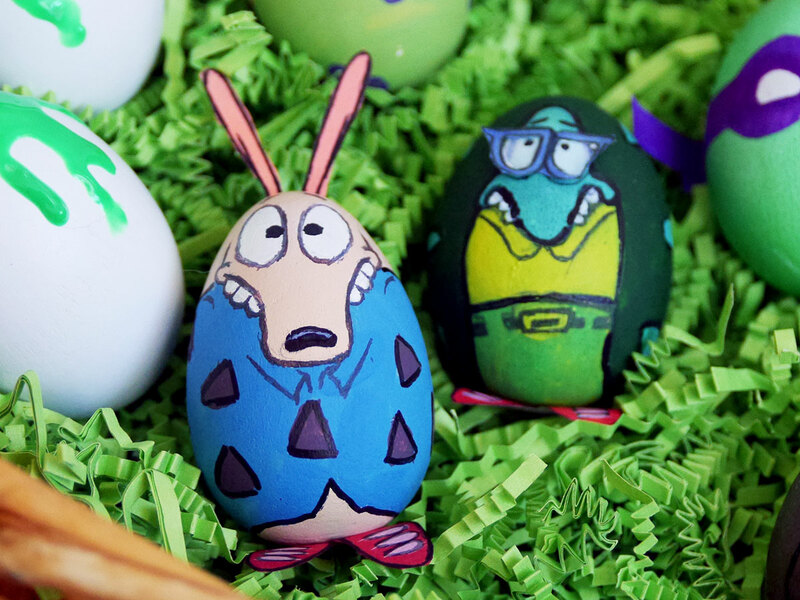 Parents, your youngin’s might not recognize this wallaby and his neurotic turtle friend from an earlier Nickelodeon era, but Rocko and Filbert work so perfectly as eggs! Who lives in an (egg) pineapple under the sea? 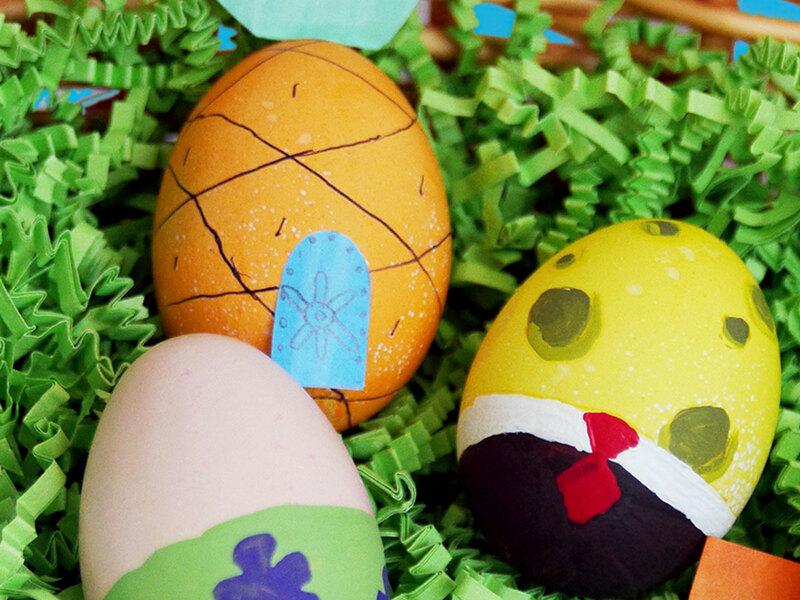 These abstract SpongeBob Easter eggs are incredibly simple to make and are instantly recognizable. And finally, Doug Funnie and his dog, Porkchop. 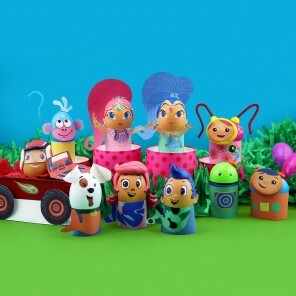 Doug’s iconic hair can be made from dental floss that was colored with a black permanent marker, and Porkchop’s nose is a stray googley eye colored black as well! Ready to get started? First, hard-boil your eggs. Step Two: Add enough cold water to cover all eggs by about 1 inch. Step Four: Once water boils, place lid on top and remove saucepan from heat. Let stand for 12 minutes. Step Five: Pour off hot water and immediately rinse eggs in cold water until fully cooled. Forgot to buy an egg coloring kit? No worries, because the dyes are DIY, too! Step One: Pour 1 tsp of white vinegar in each egg cup. 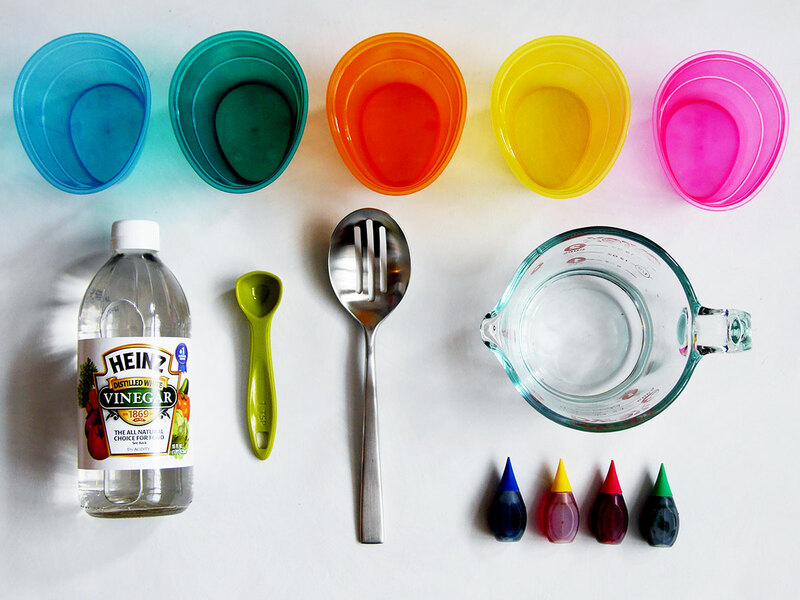 Step Two: Add 10-20 drops of food dye in each cup to achieve desired color (tip: many food dye packages have color recipes on the box). Step Three: Add 1/2 cup of boiling water to each cup. Warm water works, too, as a kid-safe precaution. Step Four: Let the cooled hard-boiled eggs soak in the homemade dye for 5 minutes. 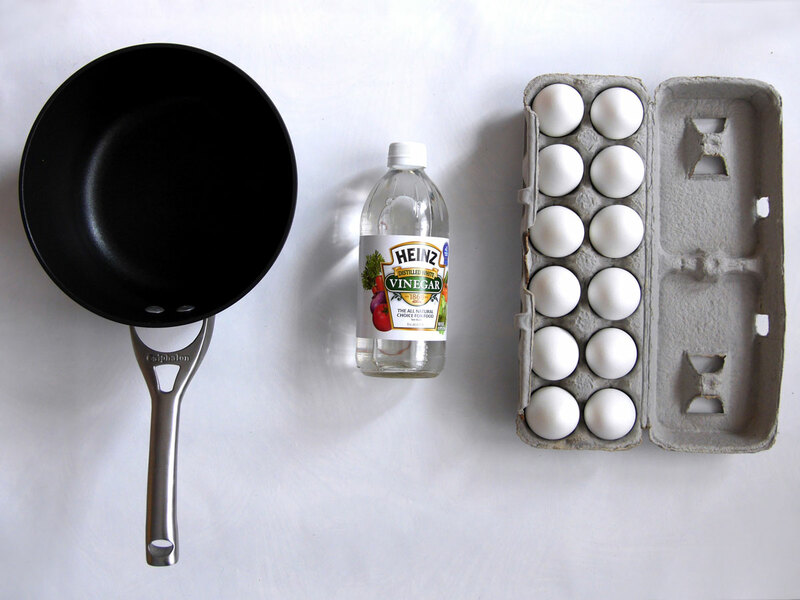 You can soak eggs longer if you’d like to achieve a richer color. Step Five: Remove eggs using a slotted spoon and let dry (tip: to ensure an even dry, cut a paper towel roll into sections to make little drying stands). 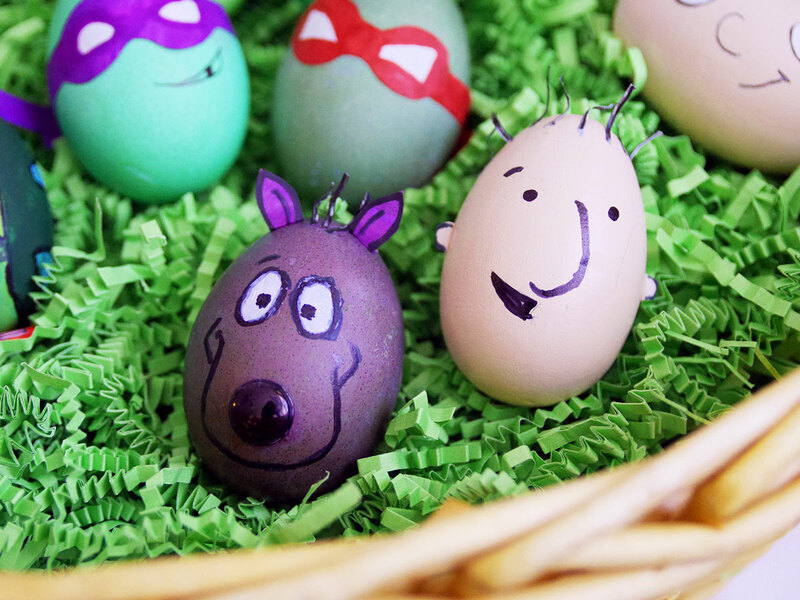 For inspiration on how to make Nick Jr. Easter eggs, go here.